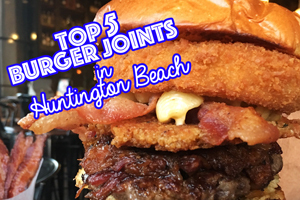 (This is a sponsored post) Hey Huntington Beach! 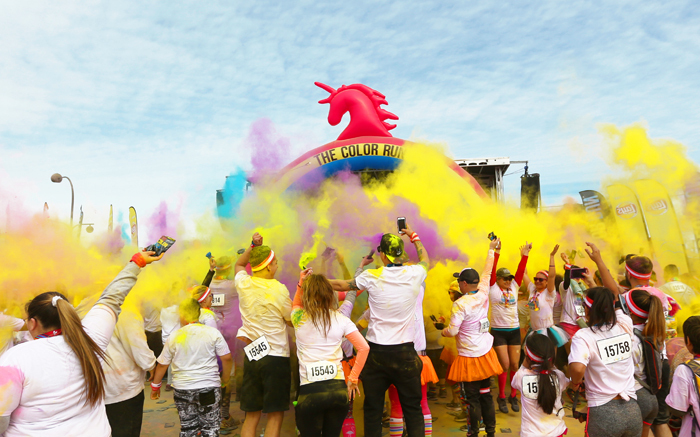 Want to join our families and get colorful with a few thousand friends?! 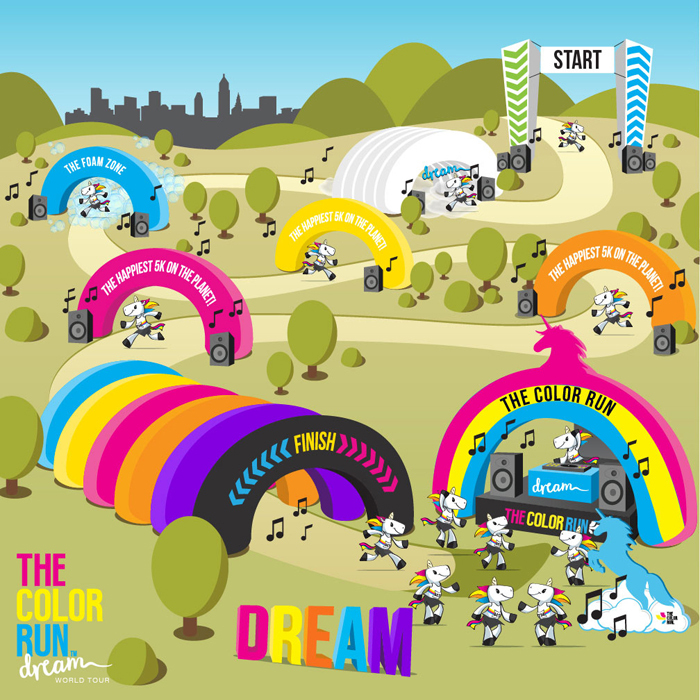 ENTER our THE COLOR RUN GIVEAWAY and come join The Color Run Dream World Tour with us on OCTOBER 7th to take the first step toward making your dreams a reality! 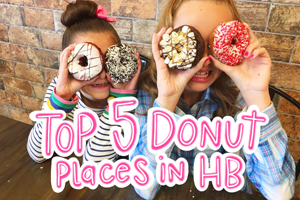 We’ve been looking for fun ways to inspire our girls and ourselves to get in shape when we heard about this super fun family race. You DO NOT have to be a good runner to join this fun event. We are not runners at all but we are so excited to create new memories with our families and experience all the magic this race has to offer! Think unicorns, rainbows, music and a party for all! PLUS you get a UNICORN MEDAL for completing the race!!! 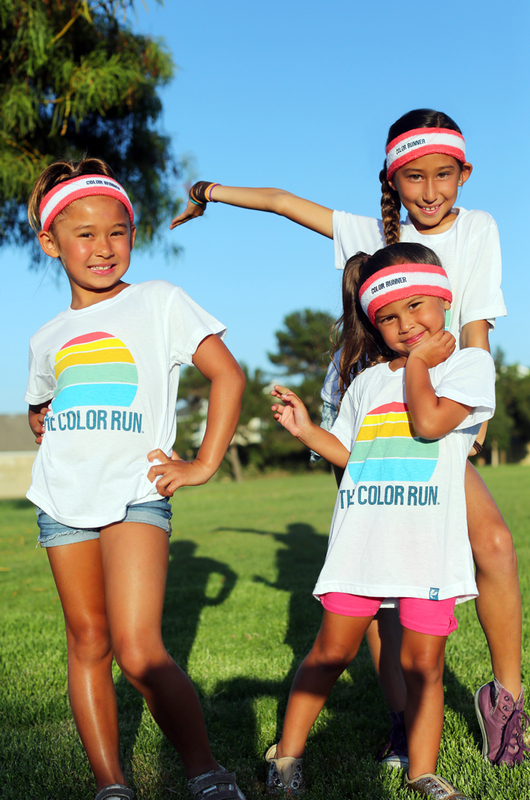 The girls opened their race kits today and fell in love with thier new THE COLOR RUN shirts and headbands. They can’t wait for race day when they get to put on their HAPPY tattoos and turn their white shirts rainbow. We also have some design tricks up our sleeves to fancy these girls up for the race. Can’t wait to share with you all. 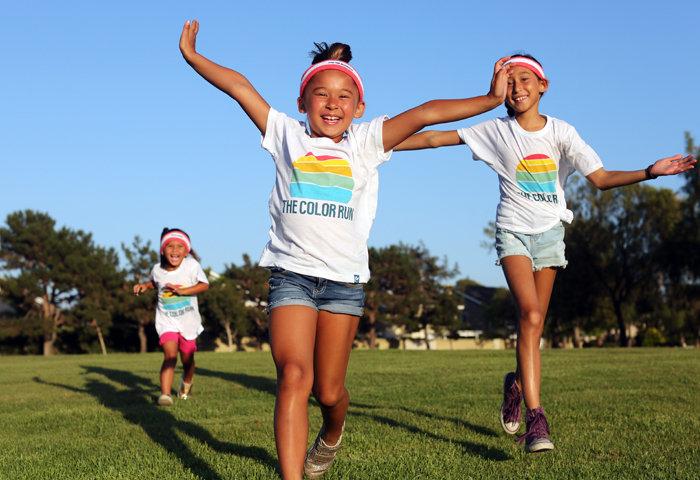 We also wanted to share with you a summer series of THE COLOR RUN GIVEAWAYS! We are giving away a FAMILY 4 PACK A MONTH valued at almost $200! This is the best prize ever, your family will never forget this day. Scroll to the bottom of this post to see how to enter! It’s super easy. PLUS we are offering a DISCOUNT CODE to our readers. 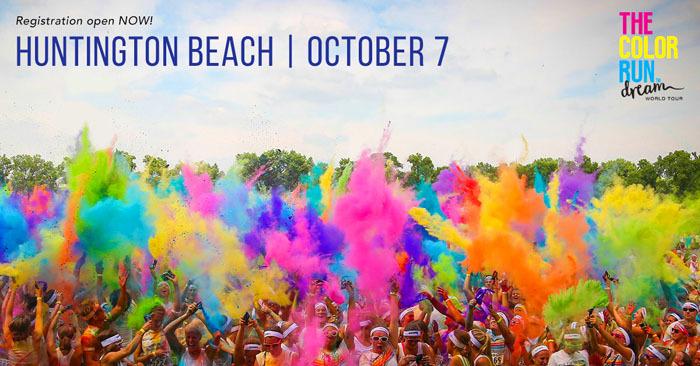 Just enter WHENINHB (in all caps) when you register HERE http://thecolorrun.com/huntington-beach-ca/ for $5 off. REMEMBER register HERE with discount code WHENINHB (all caps) to get $5 off and join us and our families on race day OCTOBER 7th 2017. TO ENTER THE GIVEAWAY head to our INSTAGRAM PAGE @WhenInHuntington by clicking HERE and follow us and tag a few friends. It’s that simple! We can’t wait to see who will run with us! Check back each month for another The Color Run giveaway! Fun giveaway! Thanks for sharing! Visited! Love your blog! Gonna keep following-!!! !